Hi everyone! Sarah and I are so pleased to welcome Meredith Marsh to the blog today! 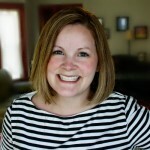 Meredith blogs at VidProMom.com and we just love her mission: to help families create videos that people will actually watch! 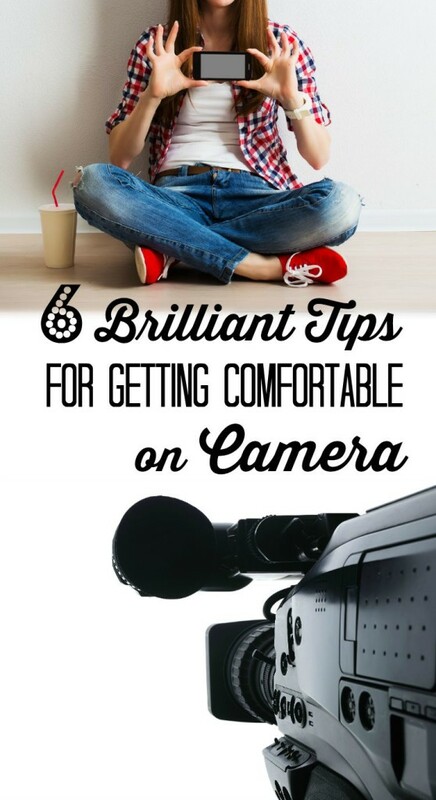 Based on her experience at getting behind the camera for her blog, Meredith has 6 brilliant tips for getting comfortable on camera for those of us who may feel nervous about video. She's a busy mom, like many of us, and she creates great videos at home (no camera crew, fancy lighting, or make-up artist needed!) And her tips will help you to create great videos too. Let's give Meredith a big brilliant business mom's welcome! Want to track your progress on YouTube or plan out a big video project? 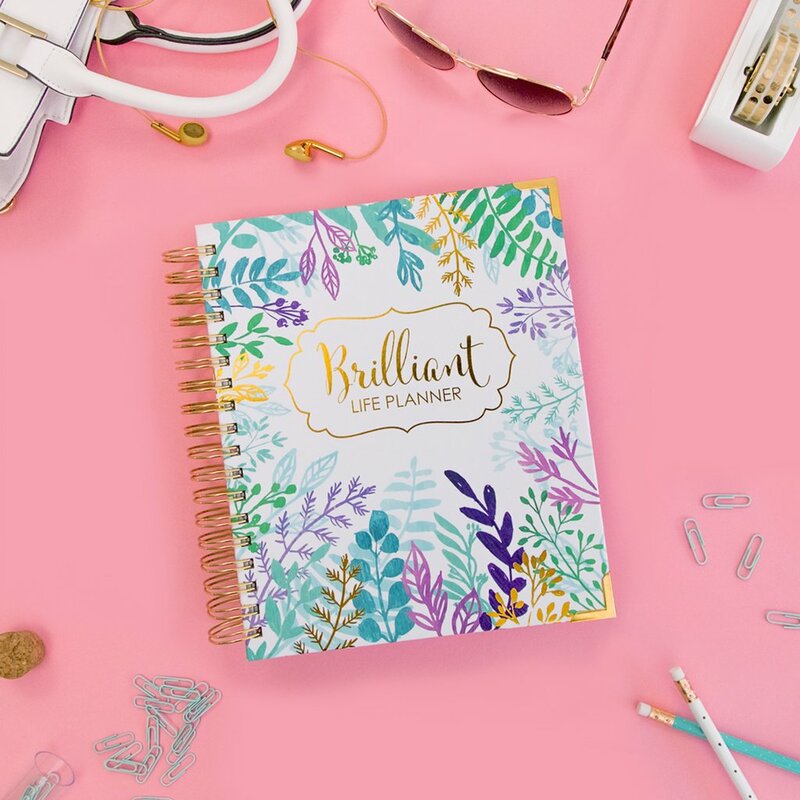 Do it all with the Brilliant Business Planner. We hear it all the time these days: Video is huge. With the rise of Meerkat, Periscope, and online courses, video isn't going anywhere! 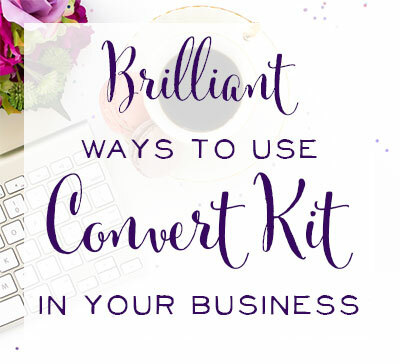 As bloggers and business owners, we have tons of tools available to make our content attractive for visual mediums like Pinterest and Instagram. Yet taking things a step further with video… it seems complicated and scary. But here's a secret. 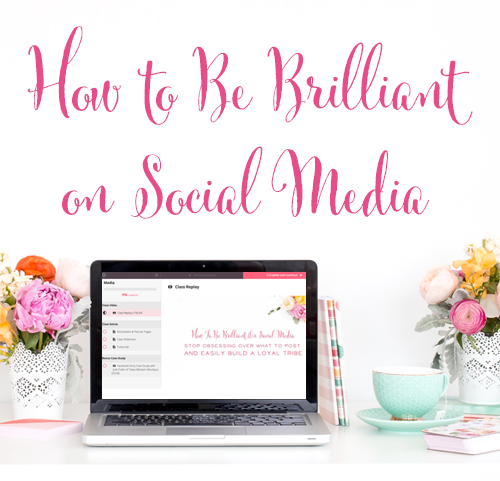 Because being on video seems complicated and scary, a lot of bloggers and online entrepreneurs don't do it. The fear is too just too overwhelming. And this leaves YOU with a powerful competitive advantage. 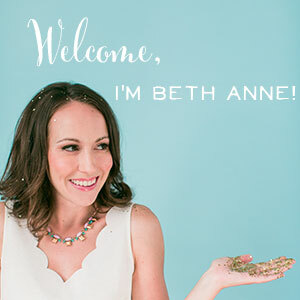 I'm so happy (and honored) to write a guest post for Beth Anne & Sarah, for the Brilliant Business Moms community because being on camera is a fear I had to overcome when I started my blog and YouTube channel. This is one of those “If I can do it, you can do it” motivational blog posts! There is nothing–nothing–to be afraid of on video. Is it weird? At first, yes. 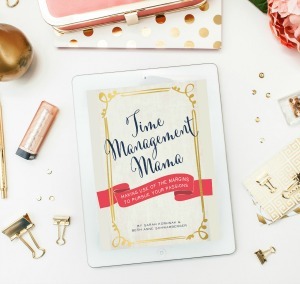 Is it time-consuming? It doesn't have to be. Is it awkward to put yourself “out there”? Yes. And that's why you should do it. There are several hurdles I personally had to overcome in order to get comfortable being in front of the camera. As a result, I have 6 tips to share with you that helped me feel myself, look myself, and come across to the viewer as myself. And as a small business owner, selling yourself is one the greatest skills you can have! 1) Talk to yourself. In your car, when you're doing the dishes, out loud, or in your head. Practice letting your thoughts and ideas flow from your brain and out your mouth. 2) Be conversational. Have a conversation with your camera as if it were your friend, or yourself (did you do step one?). Let your own personality come through, whether you're goofy or silly or serious. 3) Natural Light is your best friend. Shoot your video in a space in your house (or outside) where your face is filled with natural light from all sides. But avoid direct sunlight, which is too harsh. I stand on my enclosed porch because I have 180 degrees of natural light coming at me. If you have a bay window, or a room with lots of windows and light, try shooting your video there. You can also try shooting a video in your car. It might sound crazy, but you have light coming at you from all sides, and a vehicle offers insulation from external noise as well. 4) Stand up for more energy and enthusiasm. When I did my first videos on camera, I was sure I wanted to do them sitting down, where I was physically comfortable. But once I tried one standing up, I may never go back to sitting! When I am standing, I can think clearly, and I have an energy that doesn't come through when I'm sitting. 5) Save the Dust Bunnies. Pick a fairly decent spot in your house and do not obsess over the mess behind you. Let your real life be behind (or beneath) you. My messy coat rack provides a colorful backdrop. No one is going to care what you have going on around you, they will be focused on your message. 6) Set a flattering camera angle. First, remember horizontal video is best for YouTube, Facebook, and any videos that you're going to put on your website or blog (if you're shooting a video on Periscope, then go vertical of course). But a really helpful tip I've found is with your camera angle, regardless of whether you're shooting vertical or horizontal. The trick is that you want your camera to point down at you a little bit. This will create a nice jawline and over all, it's a flattering angle. Bonus tip for Brilliant Business Moms: Shoot your videos the day you get your hair done! Plan your content, get yourself mentally charged and pumped, and batch a few videos (or start with just one!) the day your hair is at it's absolute finest. You will look great, you will feel confident, and your hair will be one less thing for you to stall over! There are so many more tips, tricks, do's, and don'ts but the biggest thing is to stop having excuses and DECIDE you're going to be on the brilliant side of video and not the “I'm too scared to do it” side. 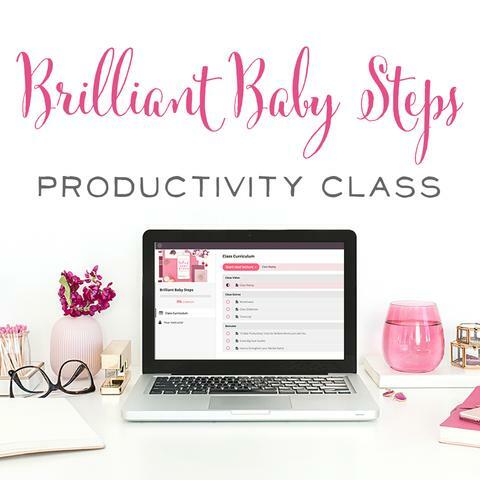 Once you take the plunge, you will learn what works well for you, and you can share your own tips and tricks with the Brilliant Business Moms community! 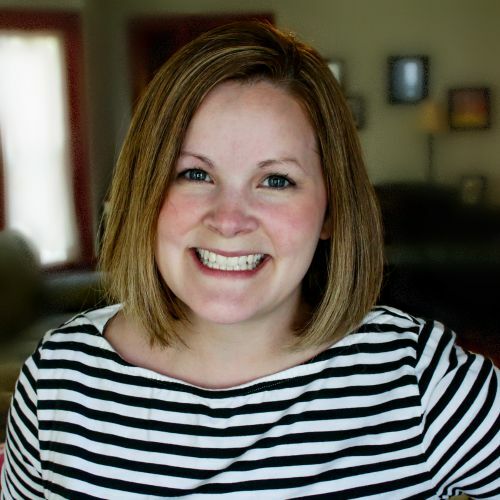 If you have any questions at all, please shoot me an email at meredith@vidpromom.com, or tweet me at @vidpromom. I'd be happy to help you out in any way!